I live and time trial in the London North District, where the flagship course over many years has been the F1, which uses the A1 dual carriageway (formerly the Great North Road). The Great North Road has been significant in the history of English time trialling over the years. Nowadays, events on the A1 in this area are restricted to the stretch of road between the Black Cat roundabout and the Baldock interchange, where the A1 becomes the A1(M) and beyond which bicycles aren’t permitted. When I first moved down here, things were different, with time trials reaching thr Alconbury interchange – over the years, I’ve ridden a variety of course permutations – the majority of which are based on a start point near Tempsford (and usually using the Stuart Memorial Hall in Tempsford. 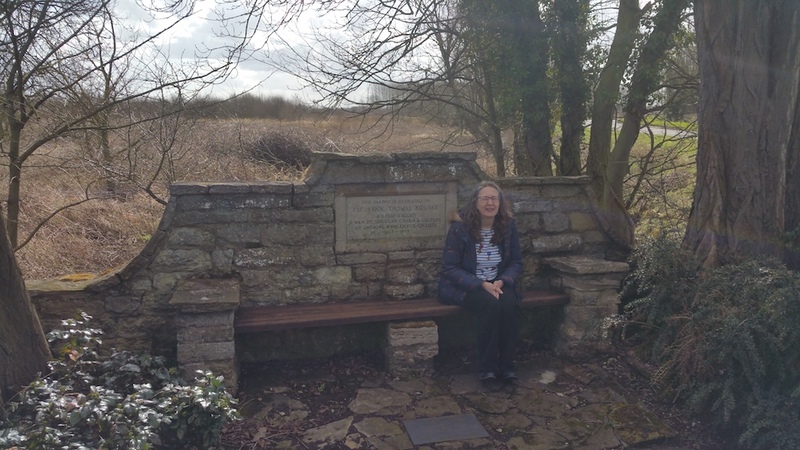 I’d been aware of the F. T. Bidlake memorial near Sandy for some time, but until today hadn’t actually visited. 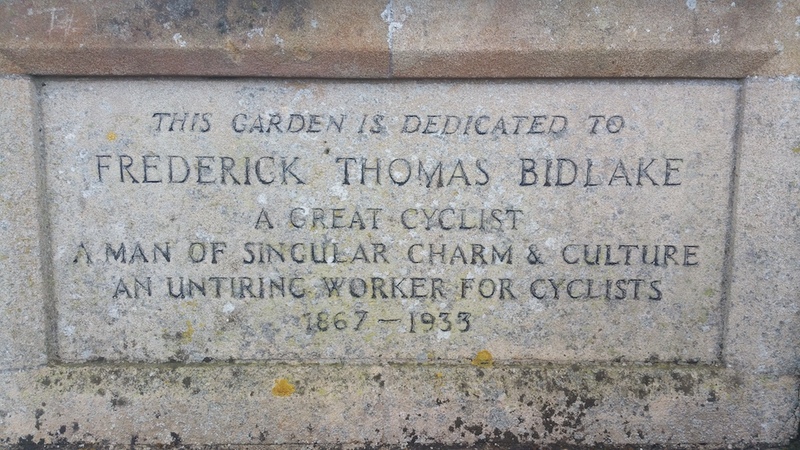 There’s a brief biography of Frederick Thomas Bidlake (1867-1933) at wikipedia – put briefly, his role in English time trialling was significant. In the 1890s, cycle racing on roads was threatened following an incident between a couple of racing cyclists (Bidlake and a friend, pluse their pacers) and a lady with a horse which, startled by the cyclists, reared causing the cyclists to wind up in the ditch. Despite the fact that most damage was caused to the cyclists, complaints to the polices about cyclists’ behaviour led to concerns that cycle riding on roads might be banned – at the time there was some pressure to amend to Highways Act. To forestall this, the National Cyclists Union banned racing on the road and insisted competitive cycling should only take place on tracks (known as ‘paths’ in those days). Not everyone agreed with the NCU’s decision, and a rival organisation was set up – the Road Racing Council – and Bidlake organised a road race on 5th October 1895 which essentially used the time trial formula used to this day. Though it’s not true to say Bidlake invented time trialling, he was one of those who codified the sport. Bidlake worked in a number of sports, including the Scheider Trophy for seaplanes in which he was timekeeper. Ultimately, Bidlake died three weeks after a fall on Barnet Hill due to collision with a car. The memorial was erected in 1934 after a public subscription. 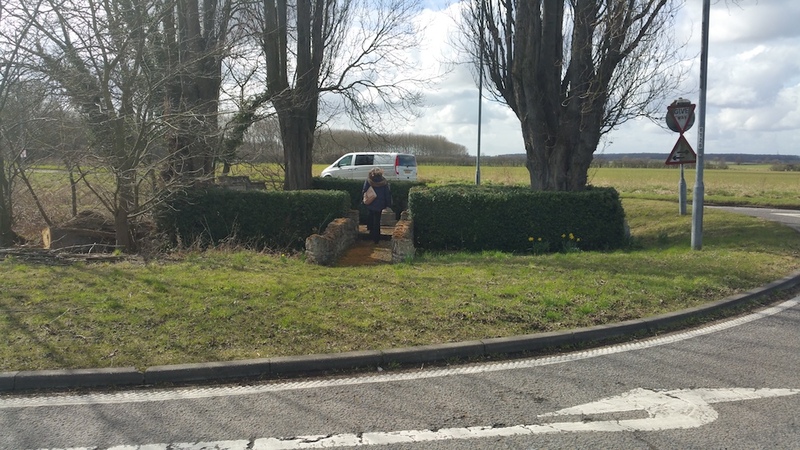 It’s quite a modest affair, with a box hedge enclosing a triangular plot near the A1 at Sandy. Here’s a Google Maps link that shows where it is. 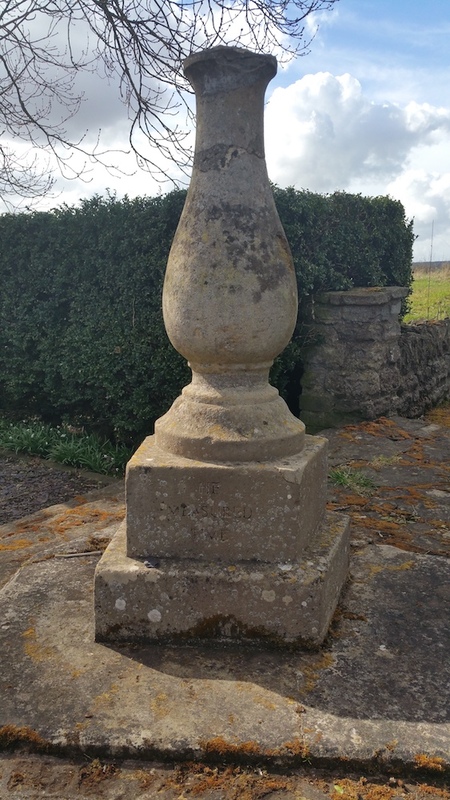 There’s a stone pedestal that looks to have had something cut off – from the Wikipedia page, I think it formerly supported a sundial – with a legend “He measured time”. 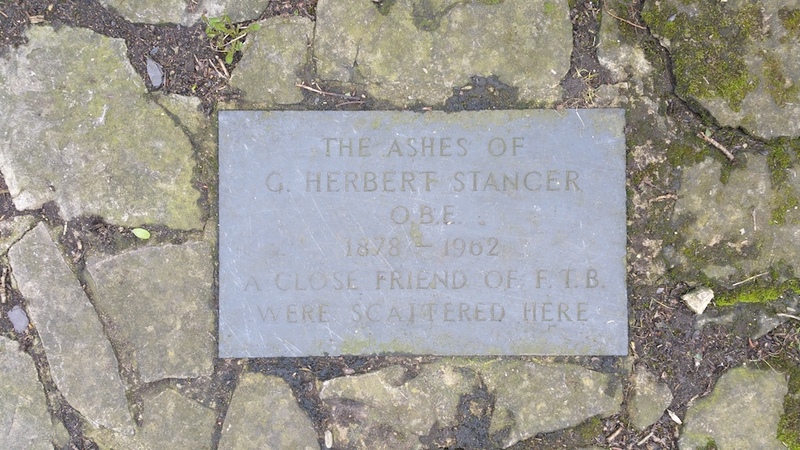 The bench itself is a commemoration of Bidlake’s colleague George Herbert Stancer, and indeed Stancer’s ashes were scattered in the the memorial. It would be nice to see the sundial restored. The garden is reasonably tidy, with evidence of recent hedge trimming when we visited.